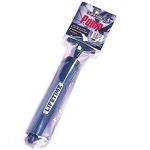 Lifetime Products has recently added several new models to their basketball hoop line up. I have added a brief description of some of these basketball goals below. This Lifetime basketball goal system provides the largest backboard of all of Lifetime's lines without having to upgrade to the Mammoth Basketball Line. This system has a 60-inch, tempered glass backboard and a bolt-down system, similar to the 90013's Mammoth counterparts. The major differences between the 90013 and the Mammoth line are the pole size is smaller on the 90013, the backboard thickness is less on the 90013, and the warranty is not as good as the Mammoth line. 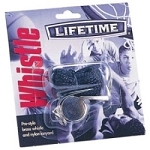 Lifetime Products warranties the 90013 for 5 years, whereas the Mammoth Basketball Hoop line has a lifetime warranty. Don't let the logo fool you. 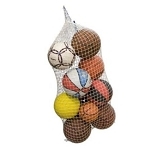 Lifetime Products makes this basketball system as well. The reason why I put this system on this blog post is because of its uniqueness. 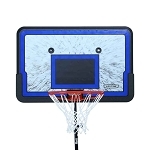 While many Lifetime systems have a plastic backboard, the 51228 is currently the only basketball goal system with a fan-shaped backboard. This shape of backboard is for old-fashion looking, which is what makes it pretty cool looking. This system was a must add to this list because of the all-new Front Adjust mechanism. This basketball hoop represents Lifetime's most recent attempt at innovation in the consumer-end, home-basketball-court arena. 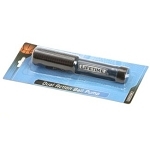 The Front Adjust height adjuster uses two handles that can be gripped from the front to adjust the basketball hoop - the best of my knowledge this is an industry first - instead of having to go the back of the hoop to use a grip handle. The size of the backboard is also unique as the first 52-inch, In-Ground basketball goal from Lifetime. As I mentioned earlier, there are plenty more new listings - 11 if I remember correctly - that you can take a look at. Check them out at our Lifetime basketball hoop category page.